Reiki is a very gentle, natural, simple, non intrusive, safe yet powerful complementary therapy carried out sitting or lying down. It is ideal for young and old alike, and for animal and plants as well. It treats the whole body, not just the manifested symptoms. As the energy brings your body into balance, stress, anxiety, and tensions are released, leaving your body relaxed. For a quick boost of energy one session is usually enough, but if you have a chronic health imbalance it will take a lot more than one session to achieve your optimum level of well being. 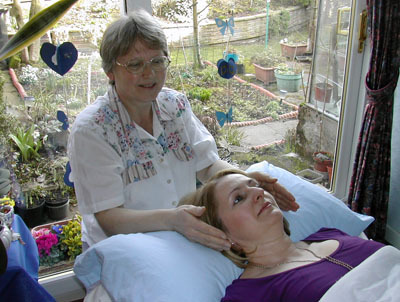 Each person’s experience of Reiki is unique, but Reiki works on all levels: physical, emotional, mental and spiritual. It will go to what needs healing most, for the energy cannot be directed. Reiki is an excellent stress reliever, but that is not its only benefit. It reduces anxiety, bringing about an inner harmony and an ability to cope better with life. Reiki also releases past hurts, bringing them to the fore to let you have another look at your issues and see how you can resolve them. It supports changes in life style and attitude, bringing about more positive ways of dealing with new challenges. There is also an increase in personal vitality and energy as it gives the body a deep cleansing, thus helping rid the body of accumulated toxins. 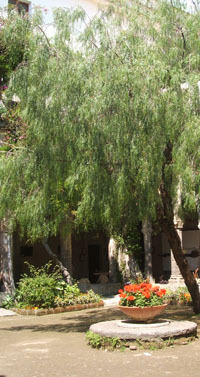 The Japanese word “Reiki” is generally translated as “universal life force”. The founder of Reiki is Mikao Usui (1865 - 1926), who was a Tendai Buddhist. He developed the Reiki healing system towards the end of his life, and in his day the system was referred to as “Usui Teate” or “Usui-Do”. It was not a religion and was primarily concerned with spiritual teachings, which were tailor-made to suit each student, focussing on self development. Mikao Usui referred to it as the “Art of achieving Personal Perfection” and the motto on his dojo was “Unity of self through harmony and balance”. The Reiki principles are a good example of his spiritual teachings, of which there are several translations. The principles clearly show the importance Mikao Usui placed on self development, which is an important aspect of Reiki in addition to all the other benefits it offers. If you live by the five principles you will soon change for the better and you will be happier.